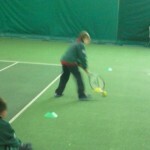 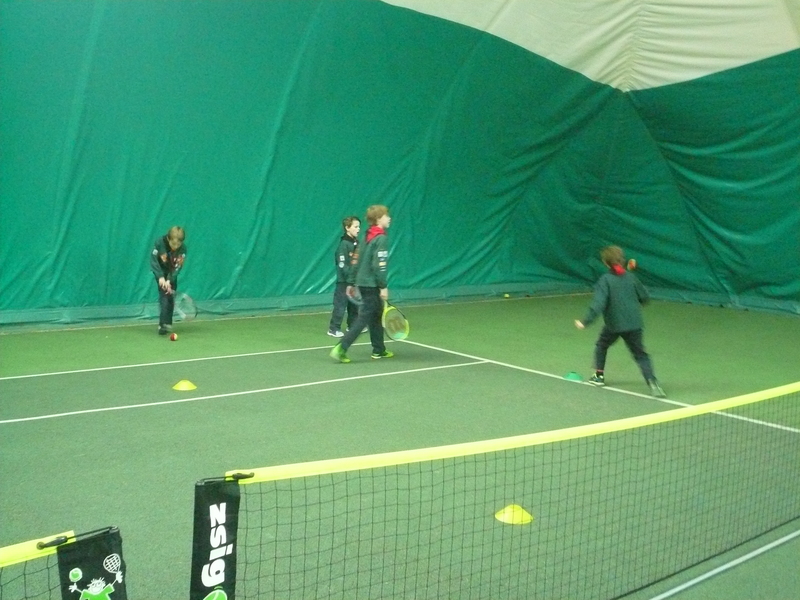 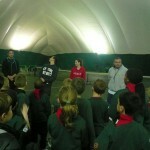 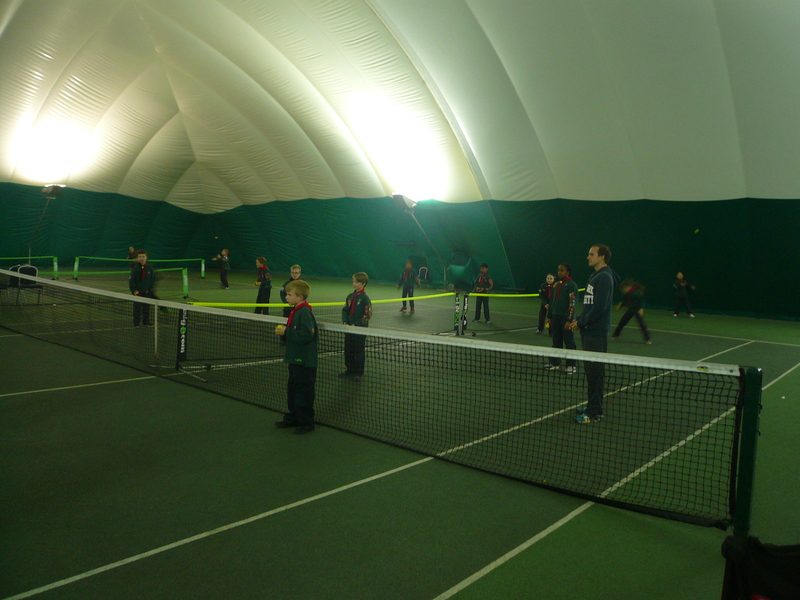 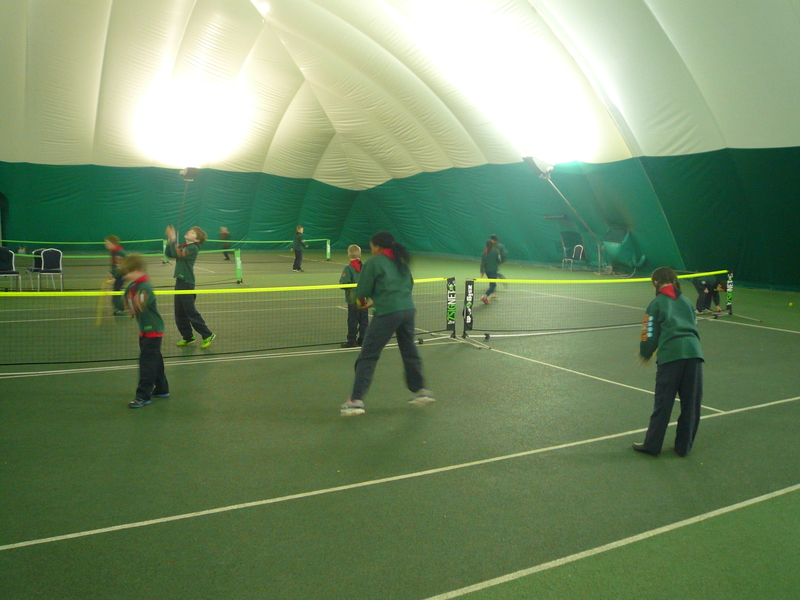 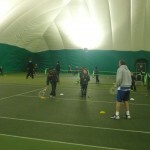 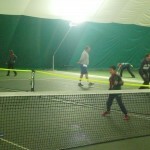 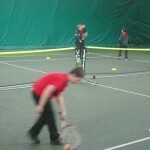 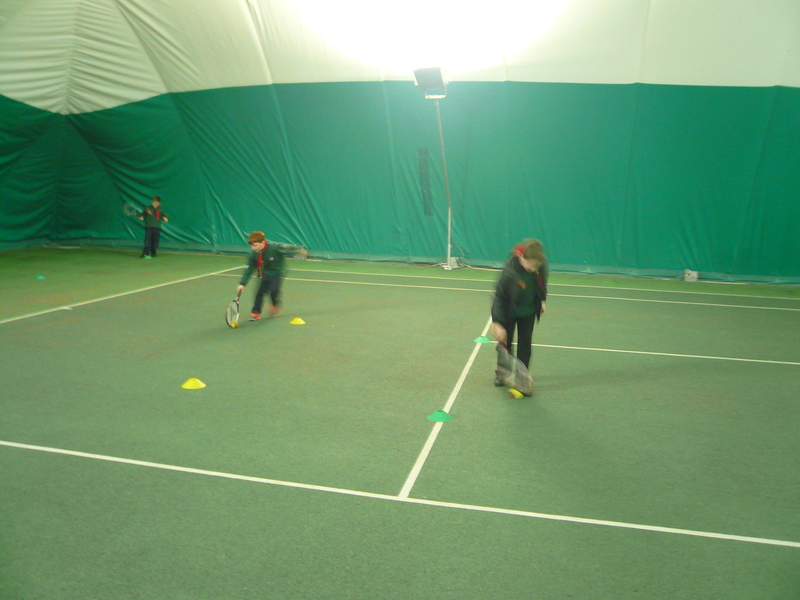 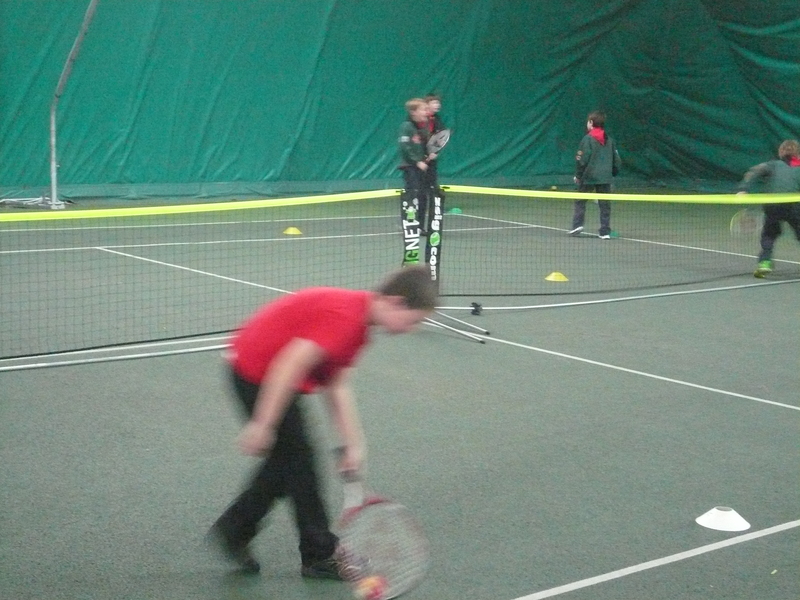 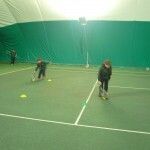 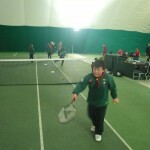 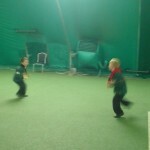 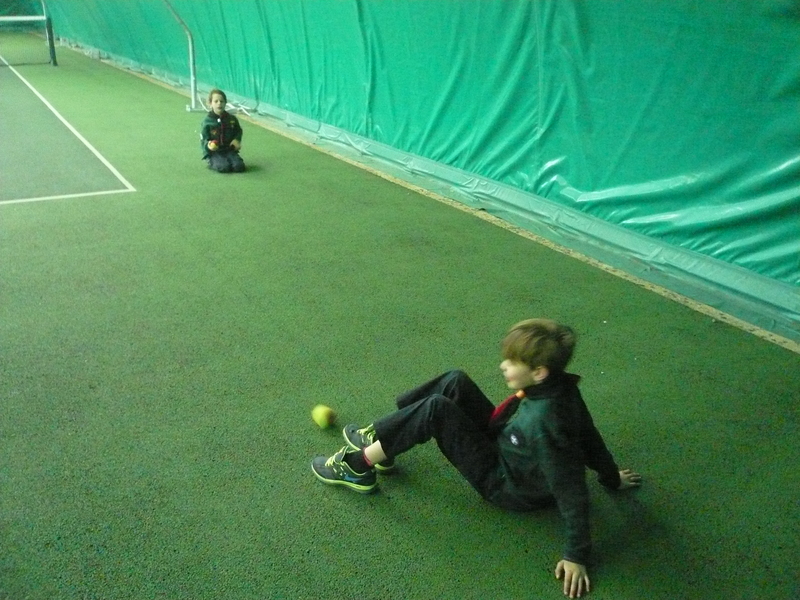 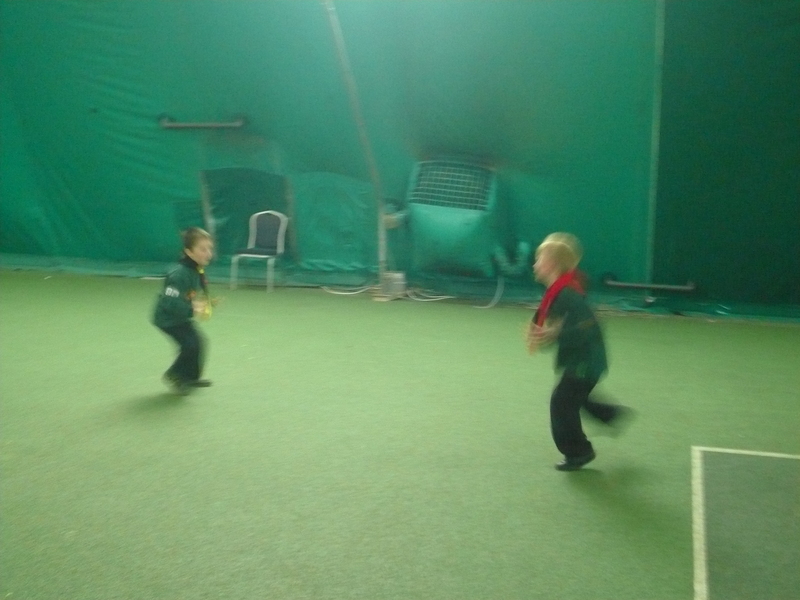 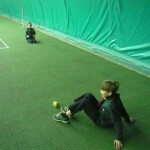 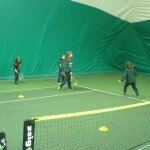 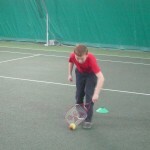 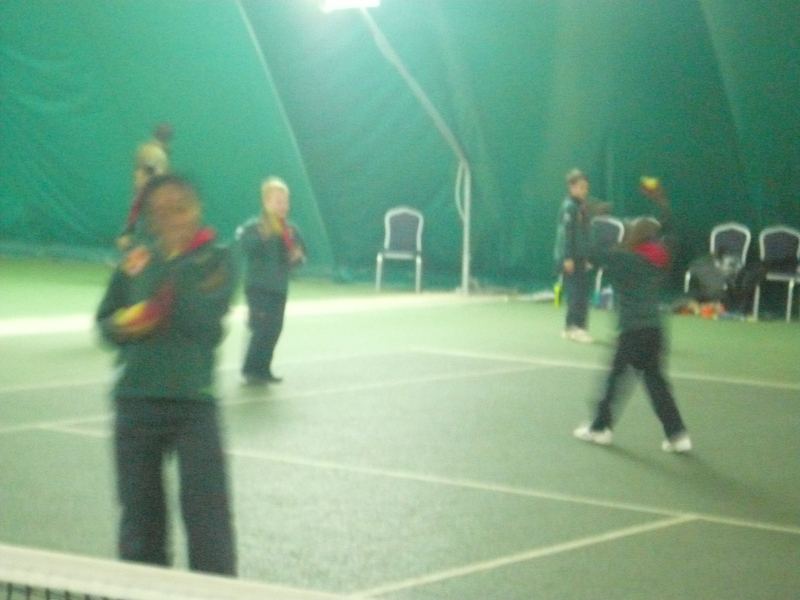 Tonight our Cub Pack visited the Crawley Tennis Club as part of the requirements of the FITNESS CHALLENGE AWARD. 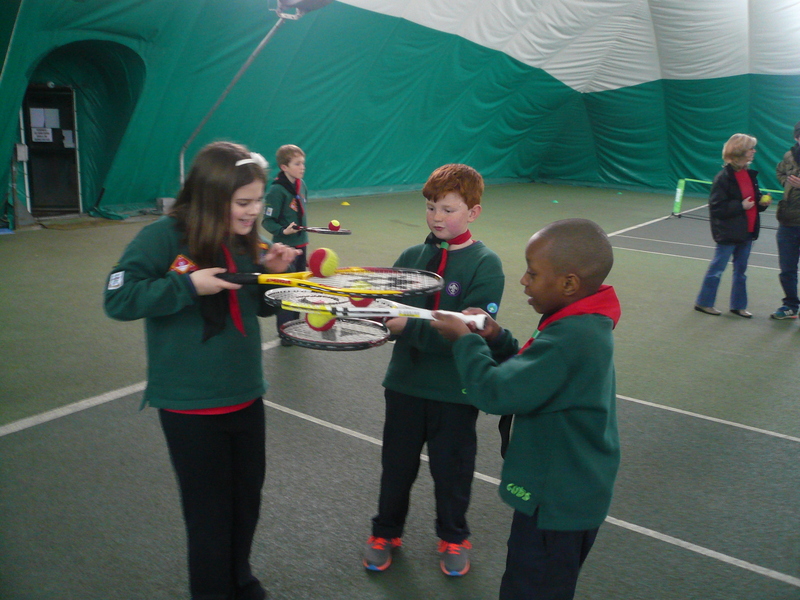 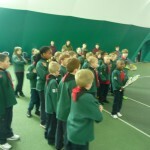 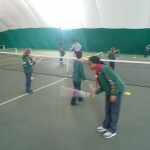 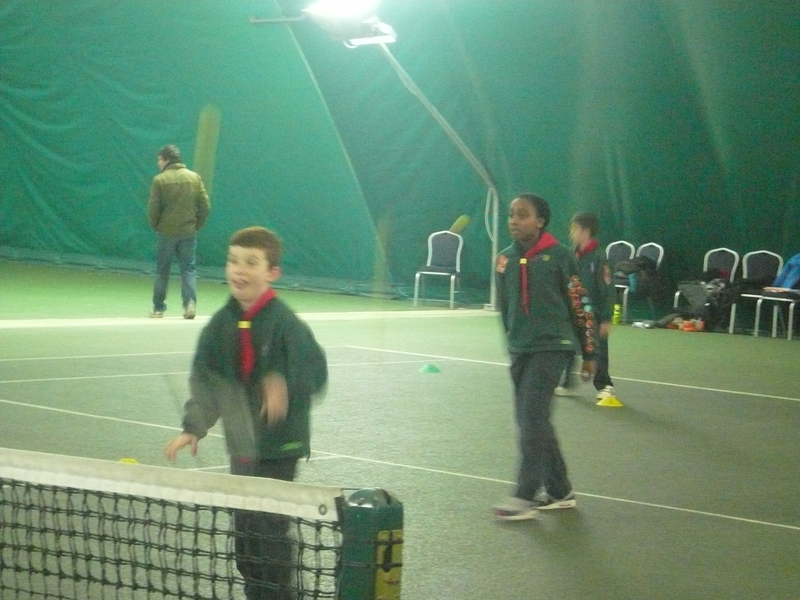 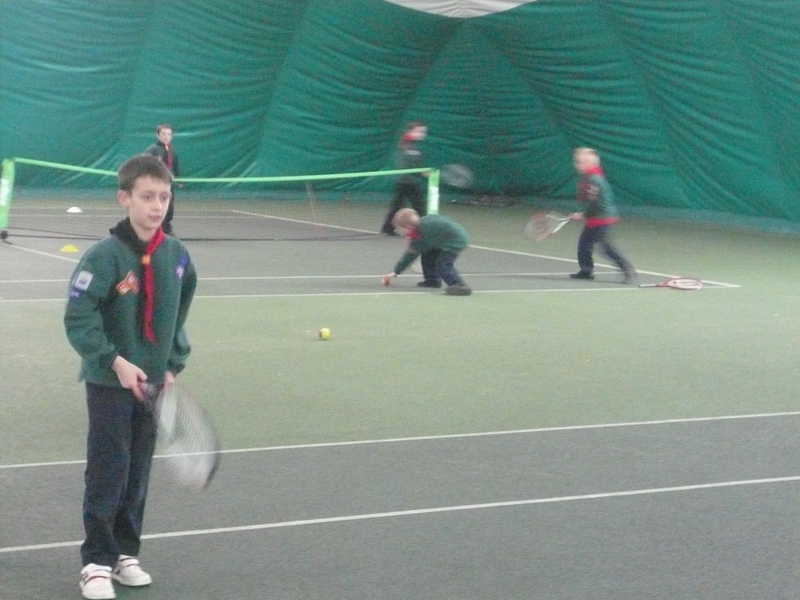 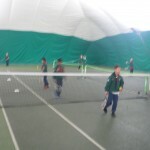 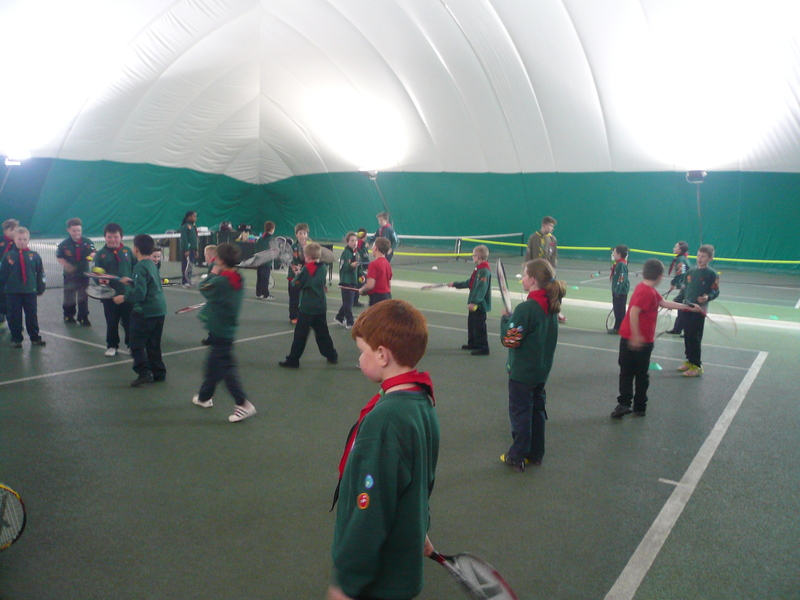 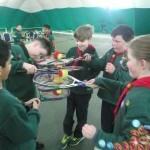 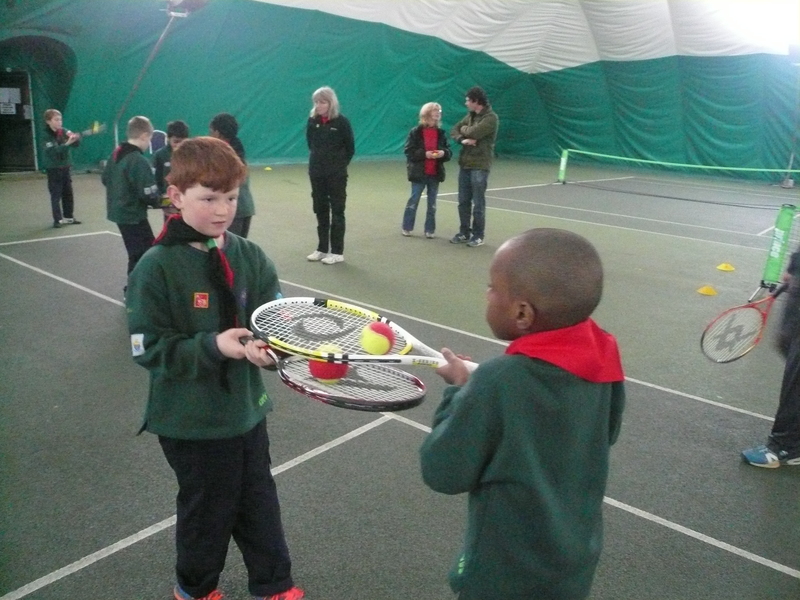 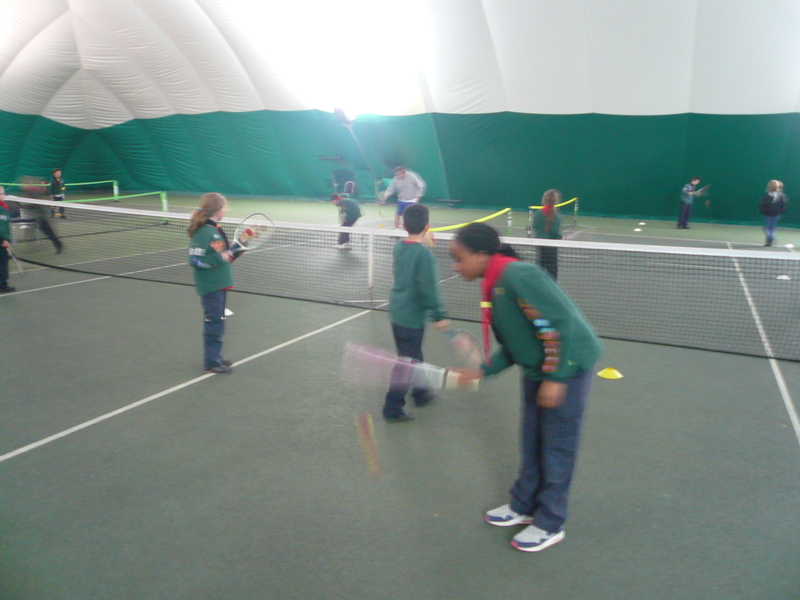 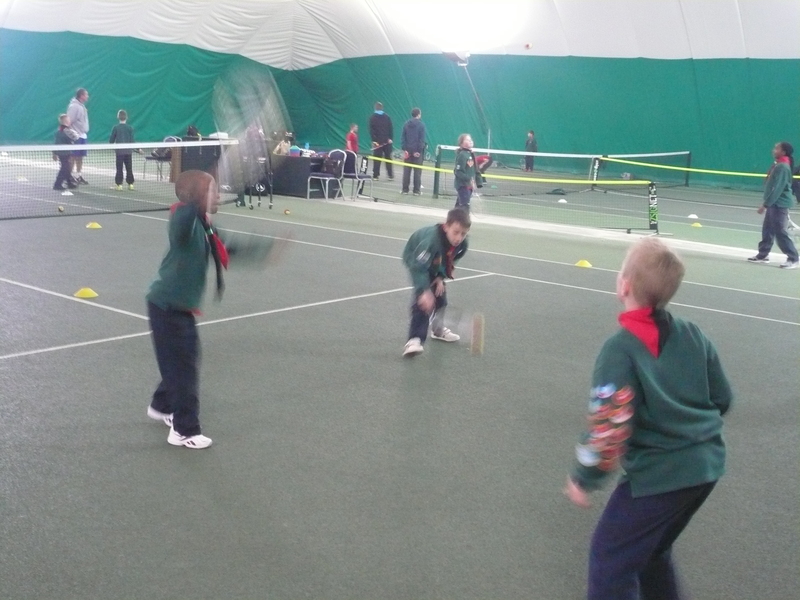 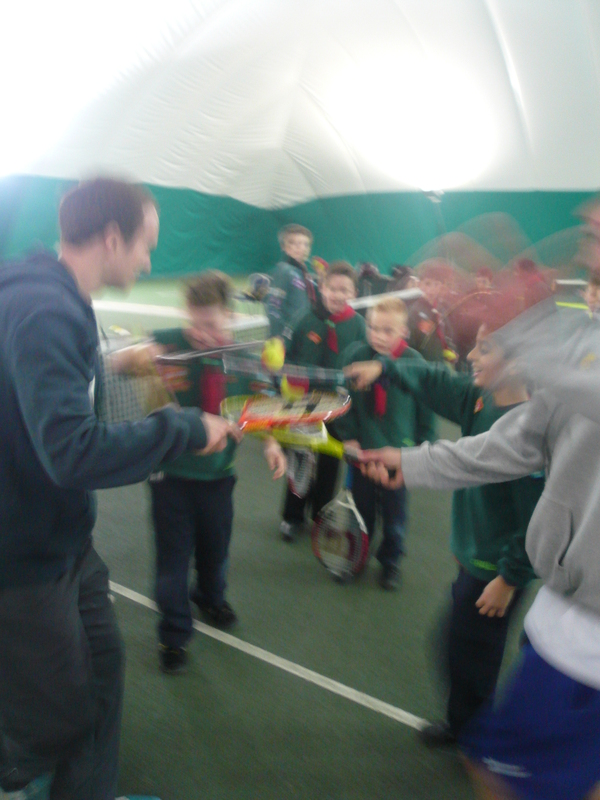 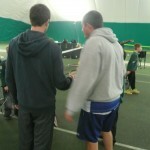 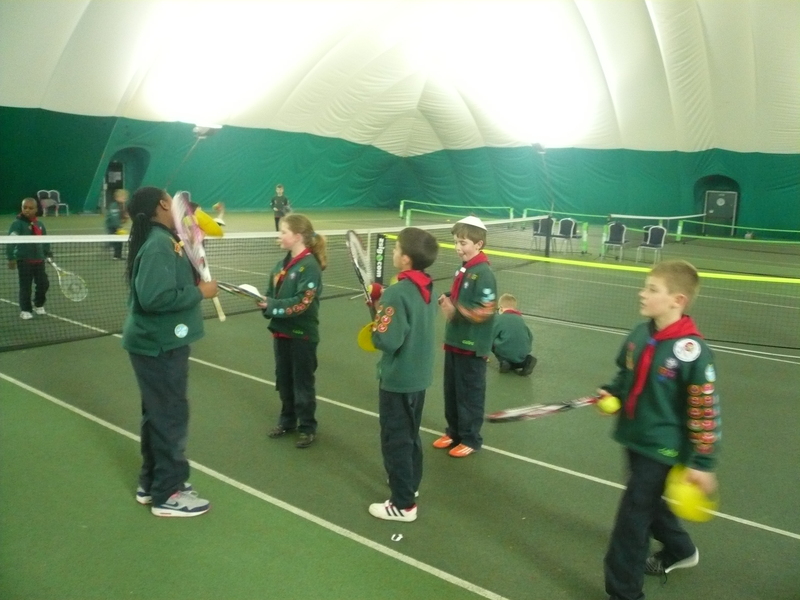 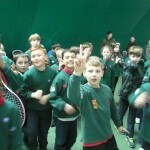 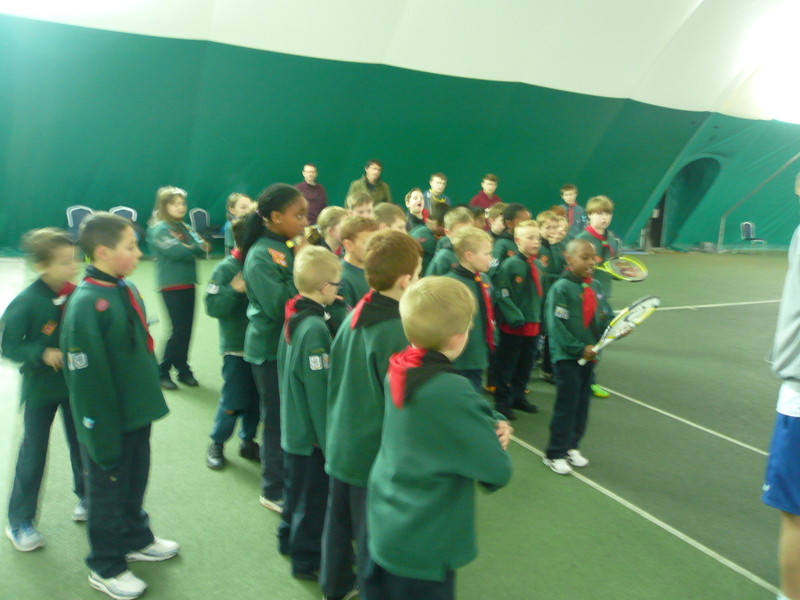 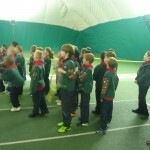 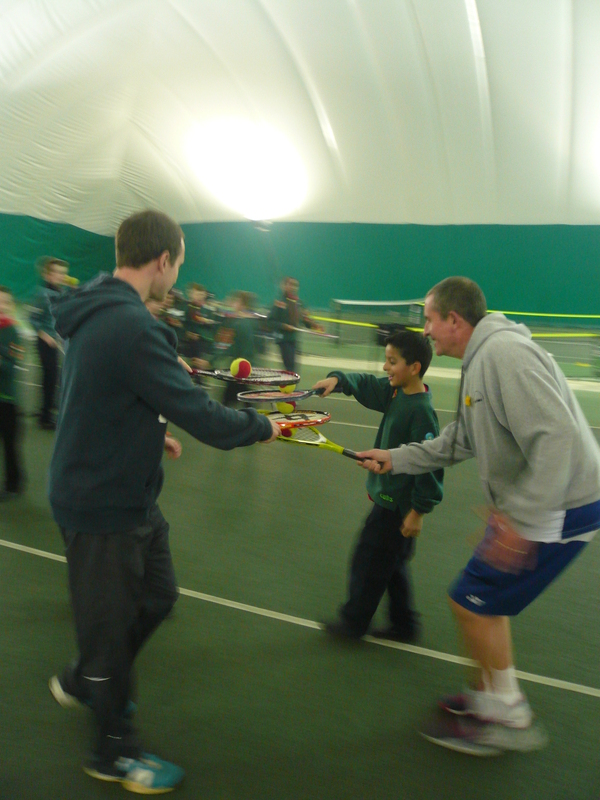 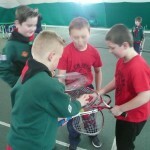 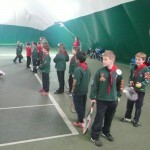 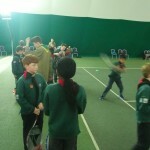 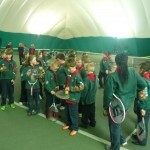 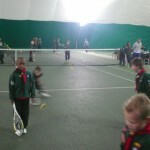 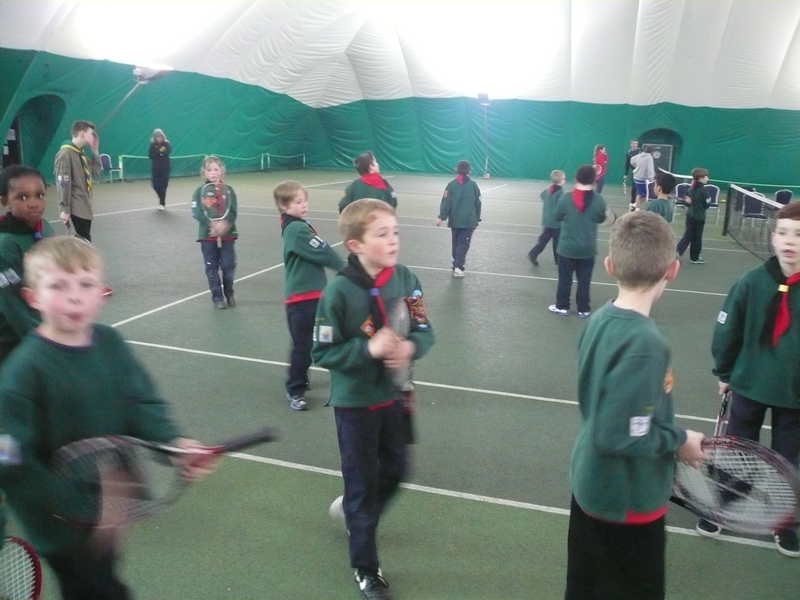 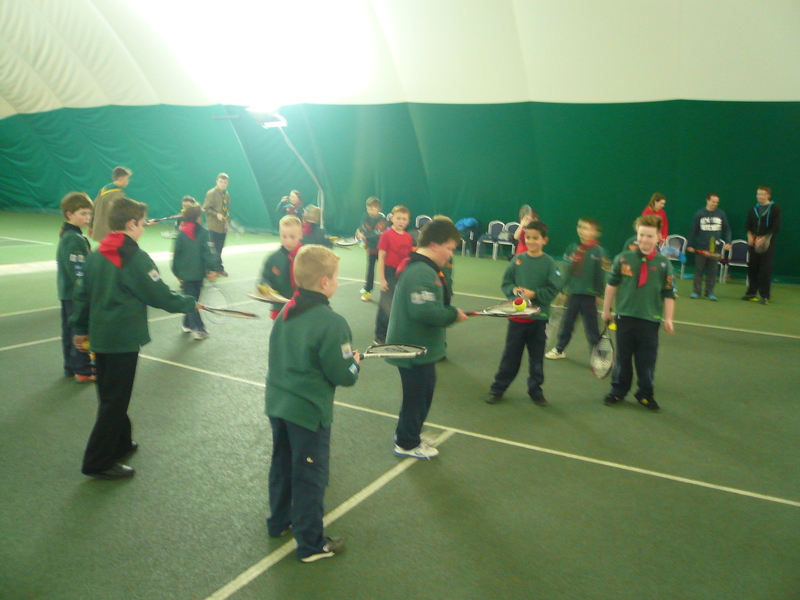 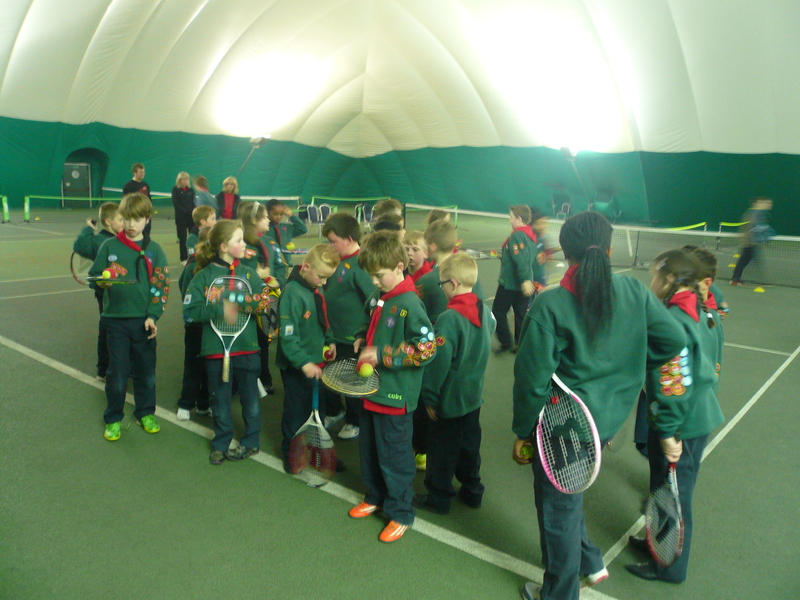 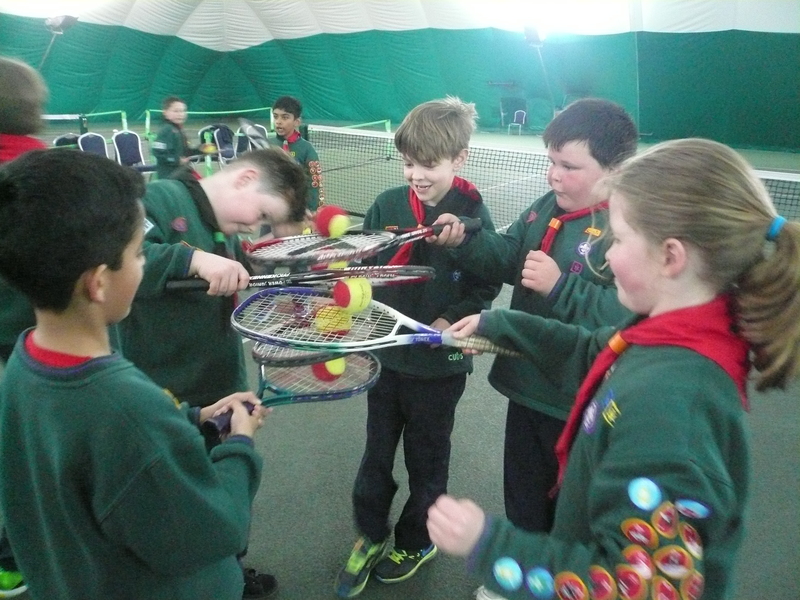 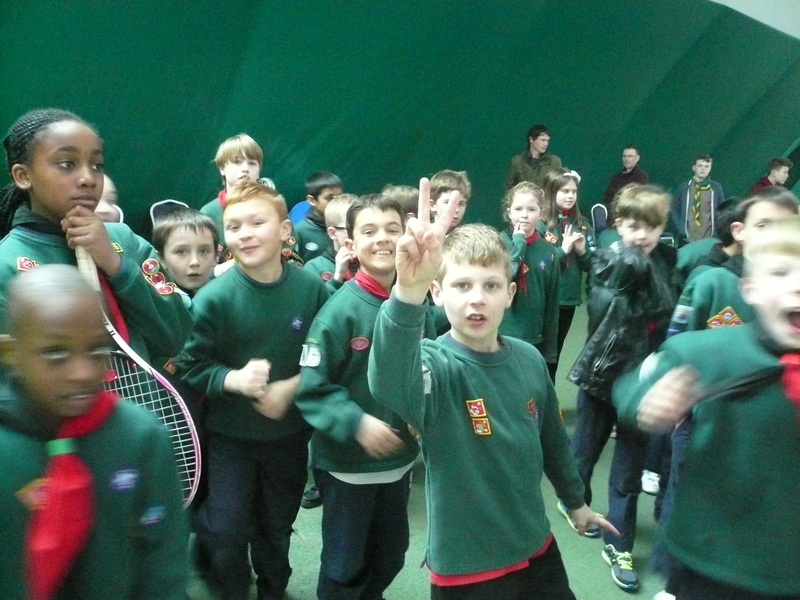 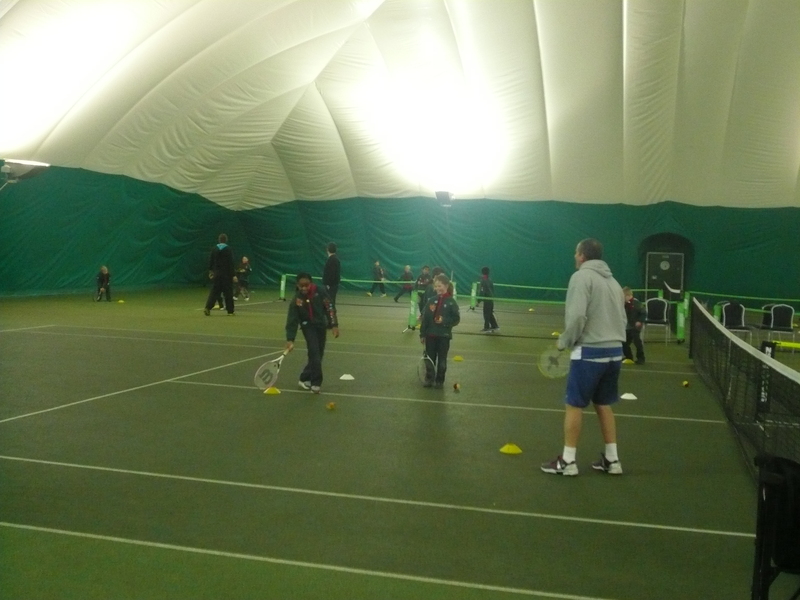 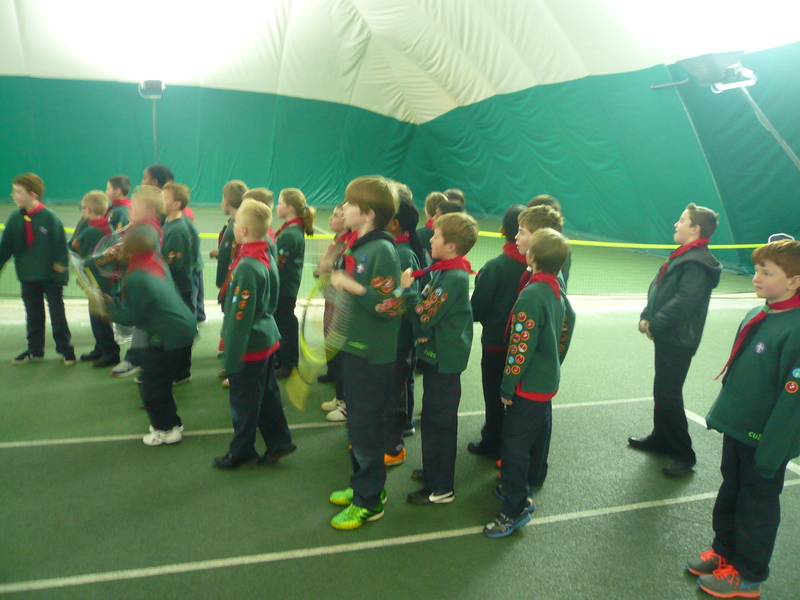 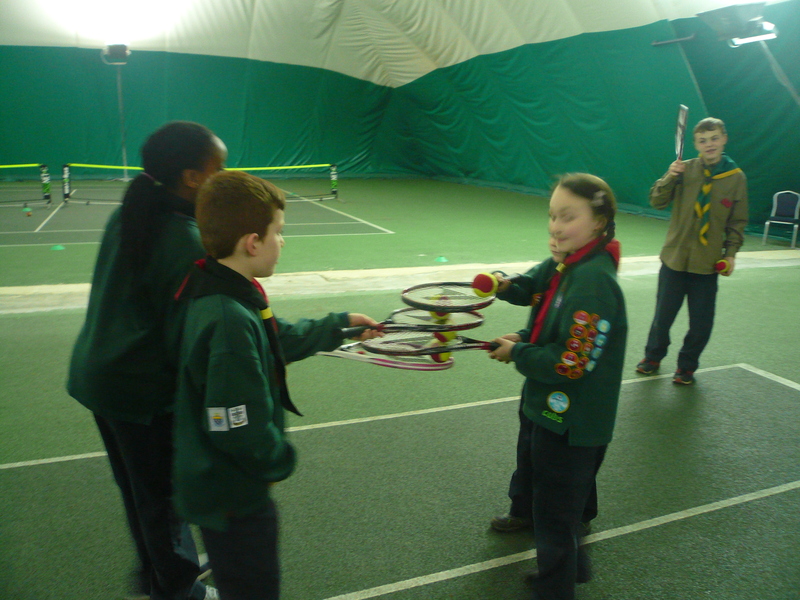 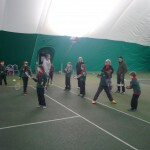 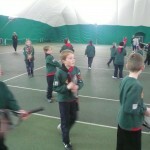 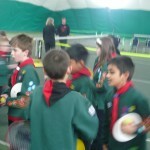 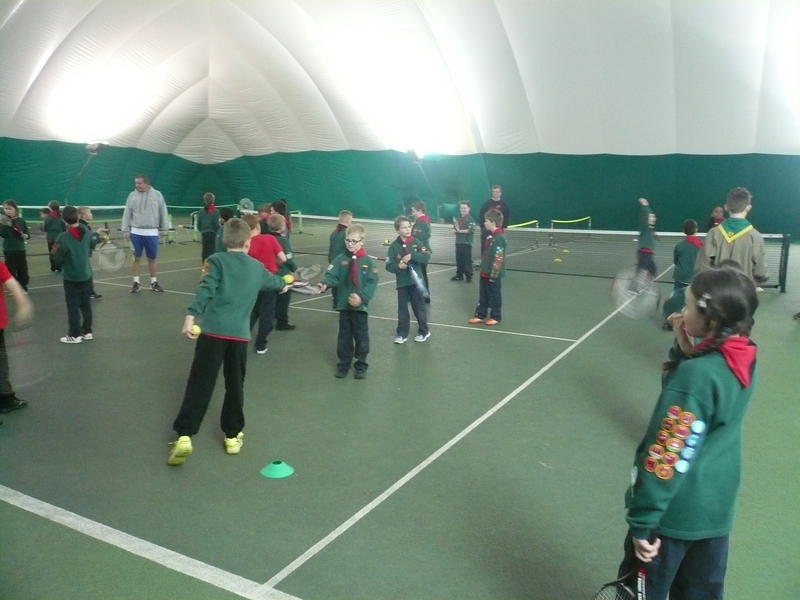 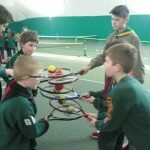 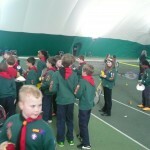 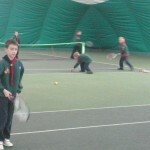 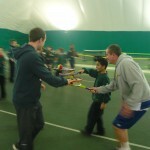 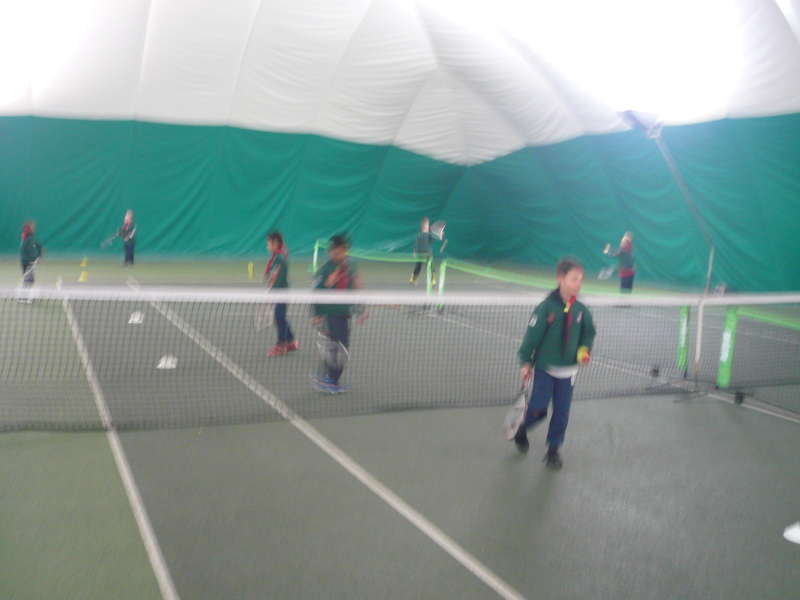 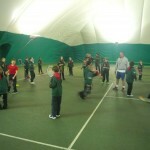 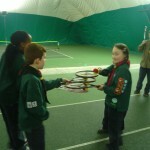 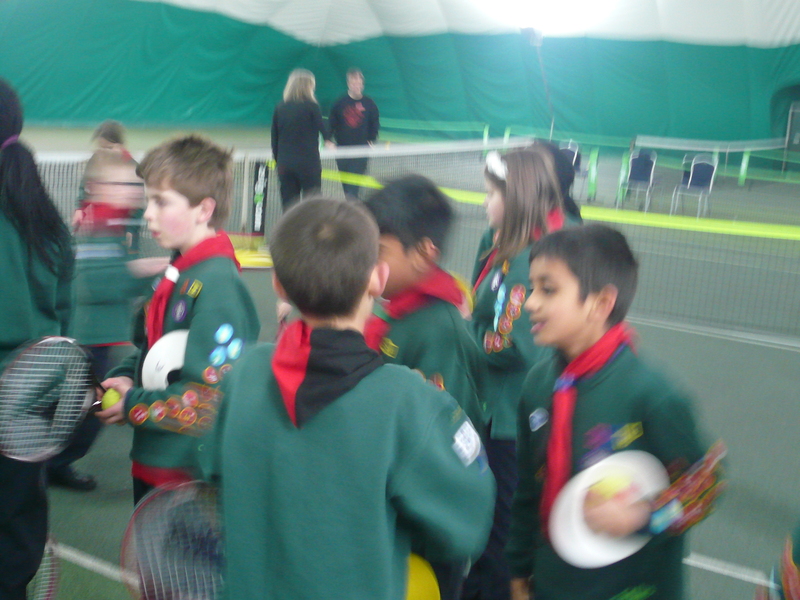 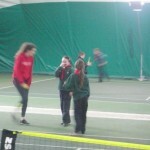 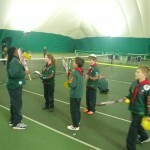 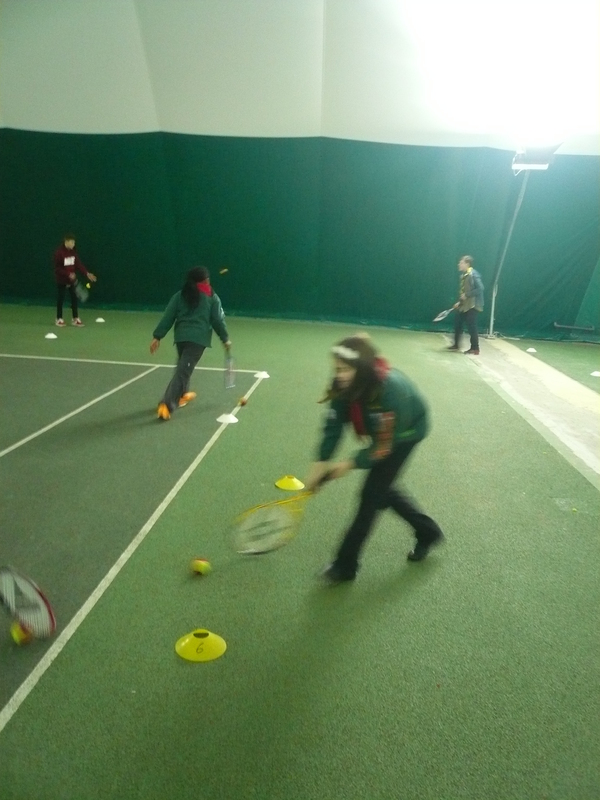 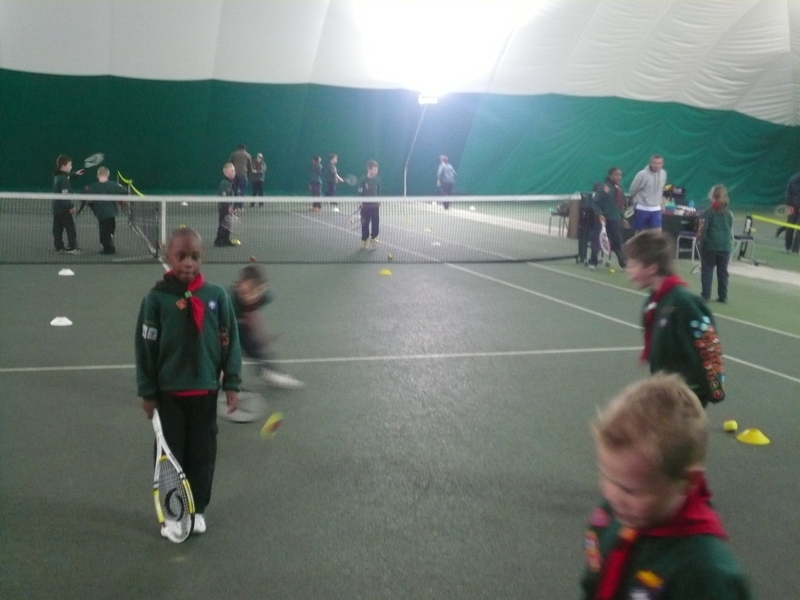 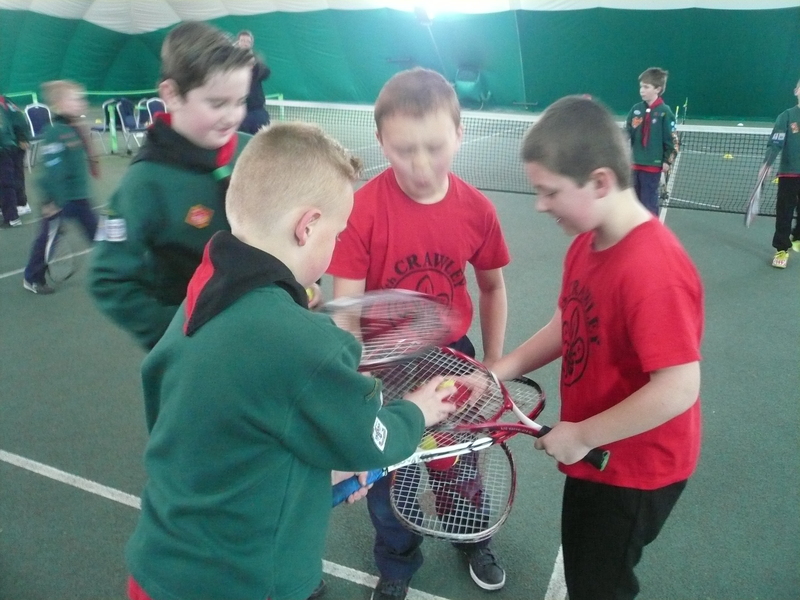 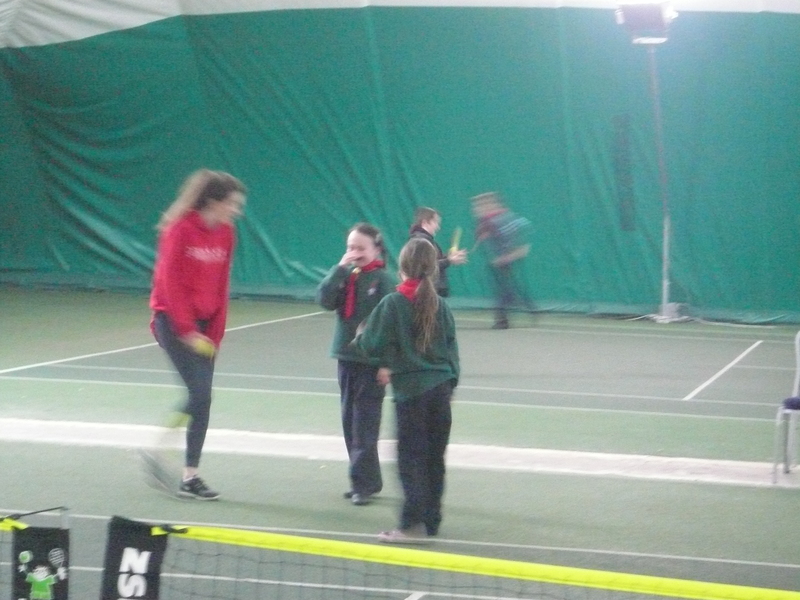 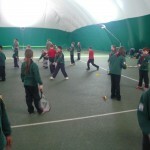 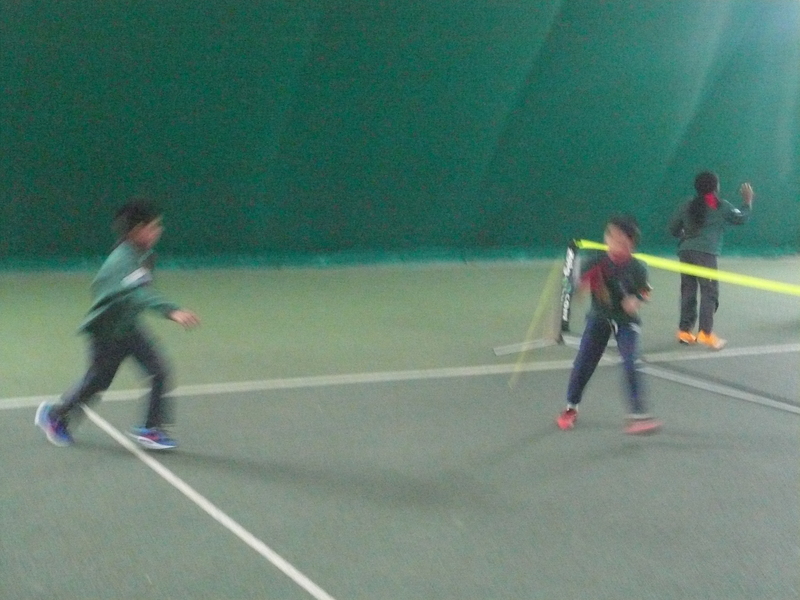 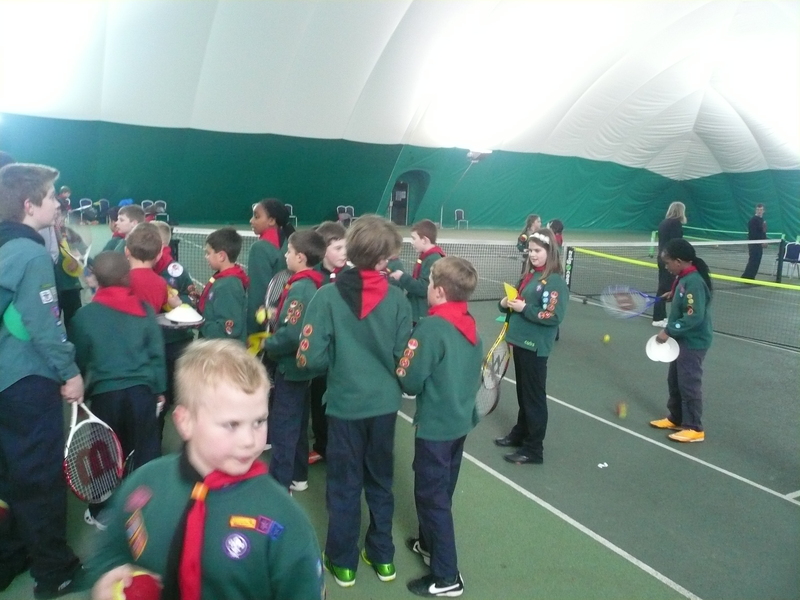 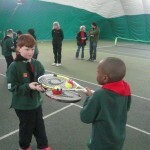 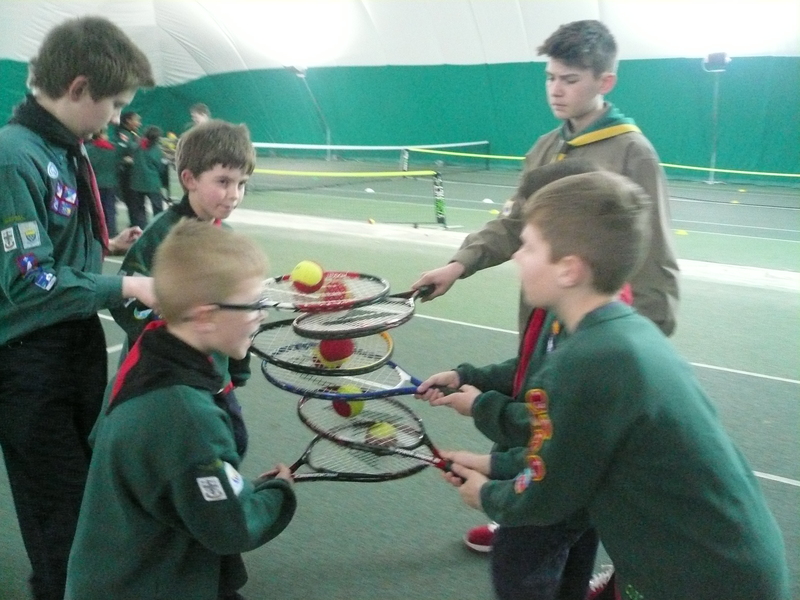 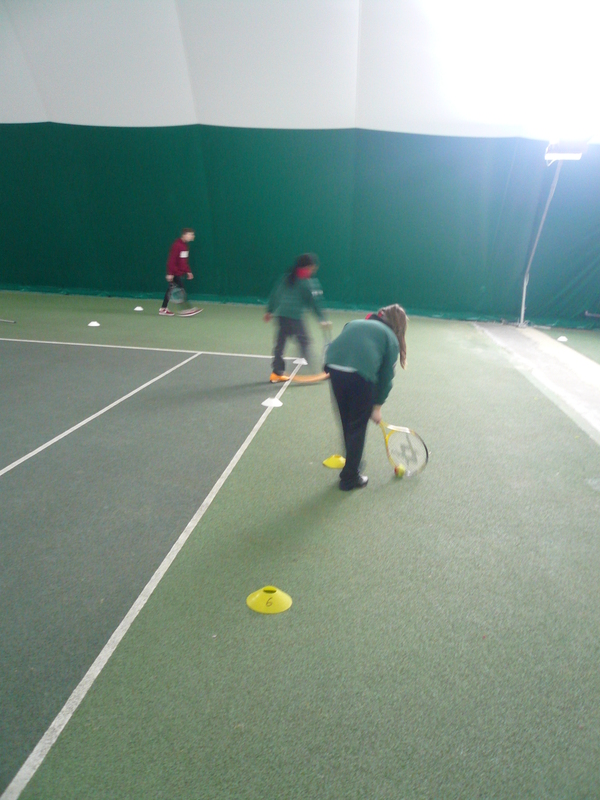 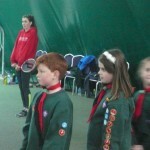 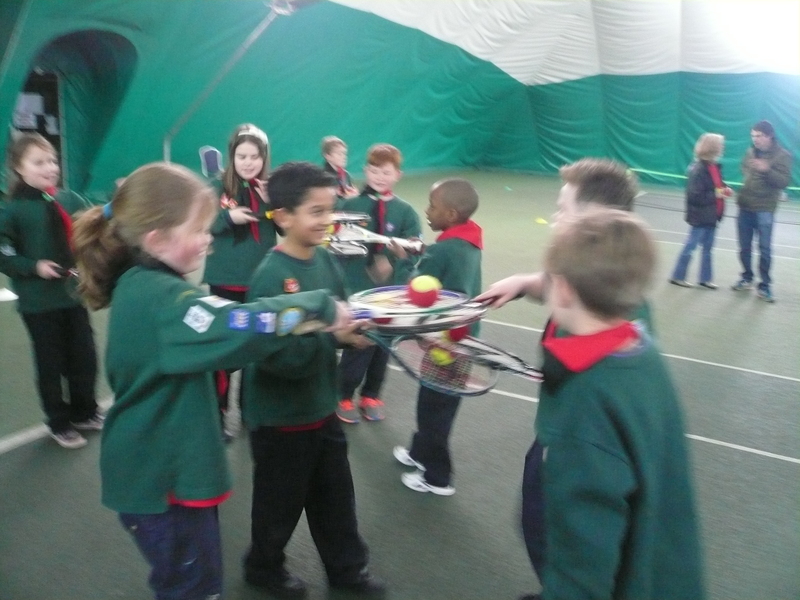 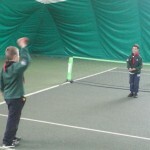 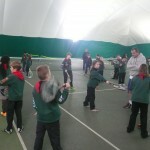 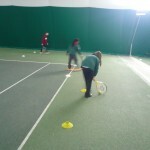 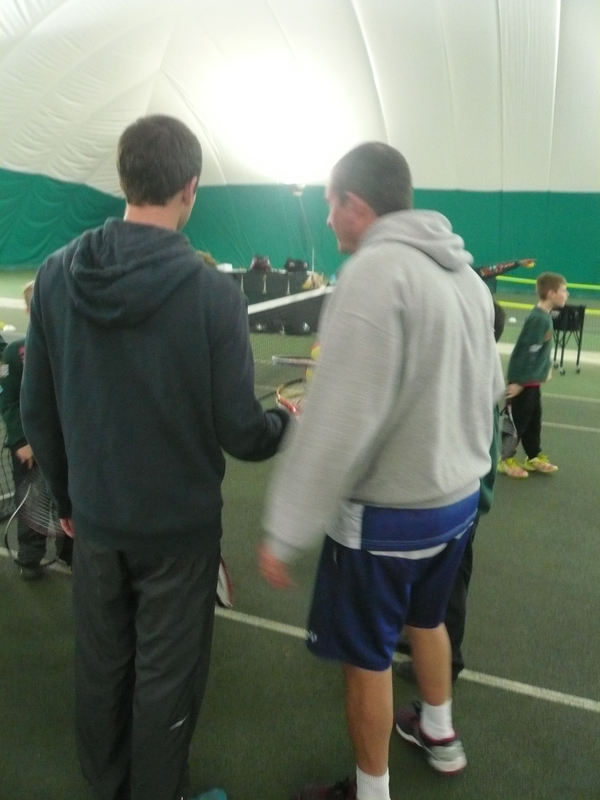 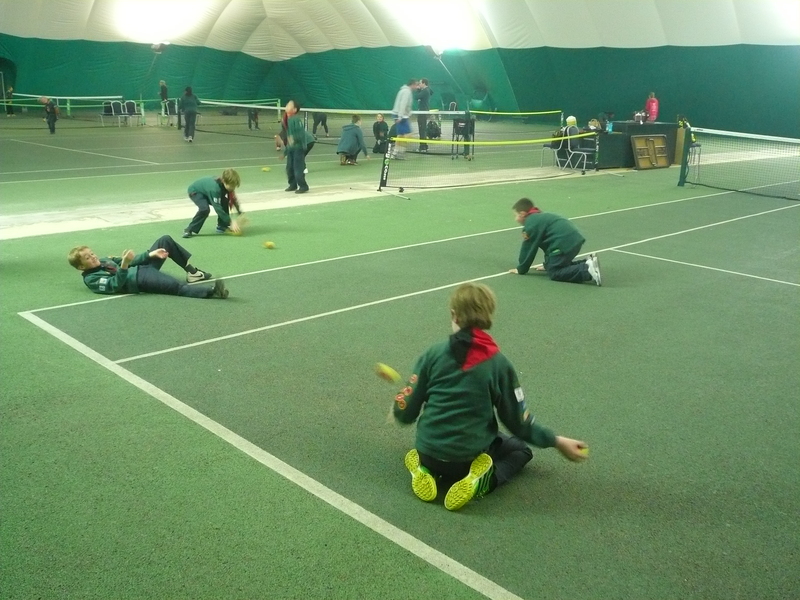 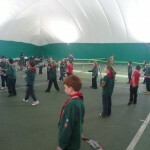 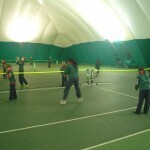 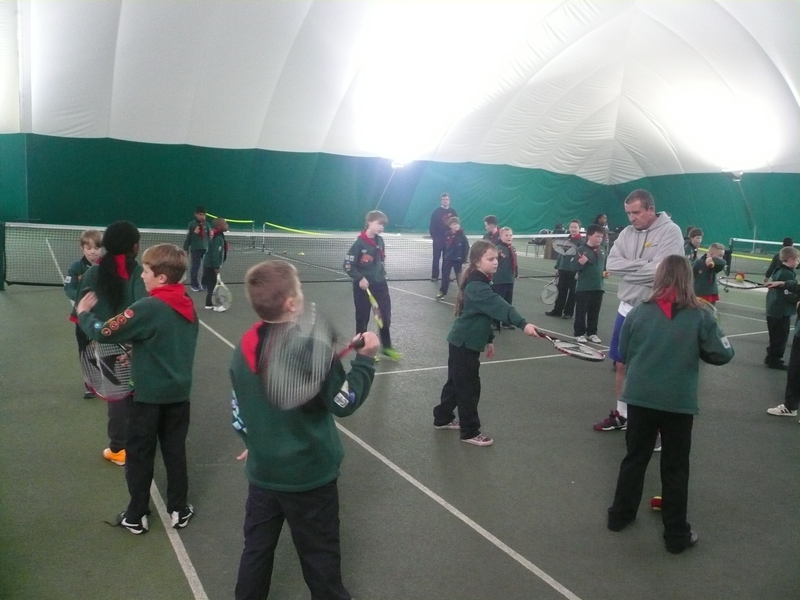 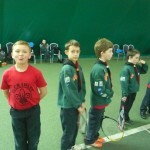 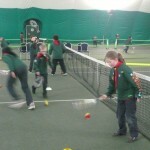 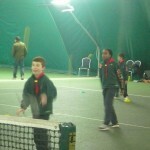 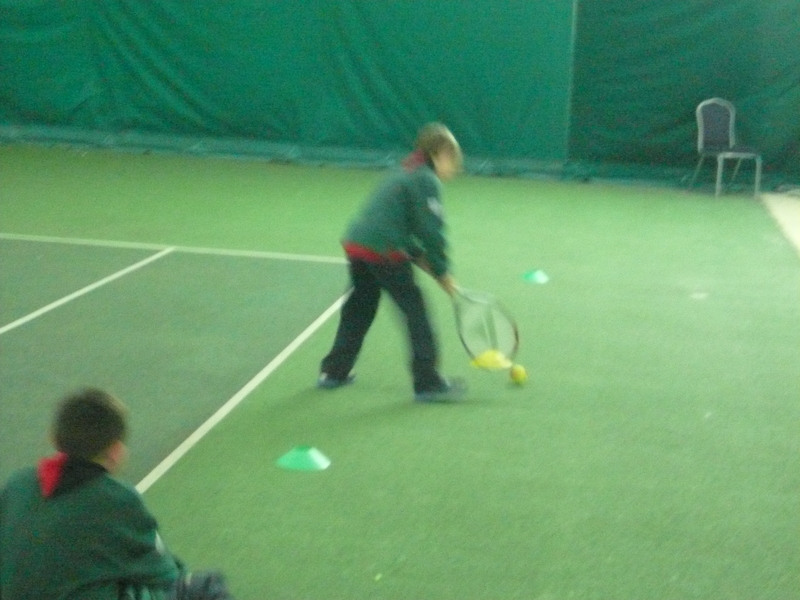 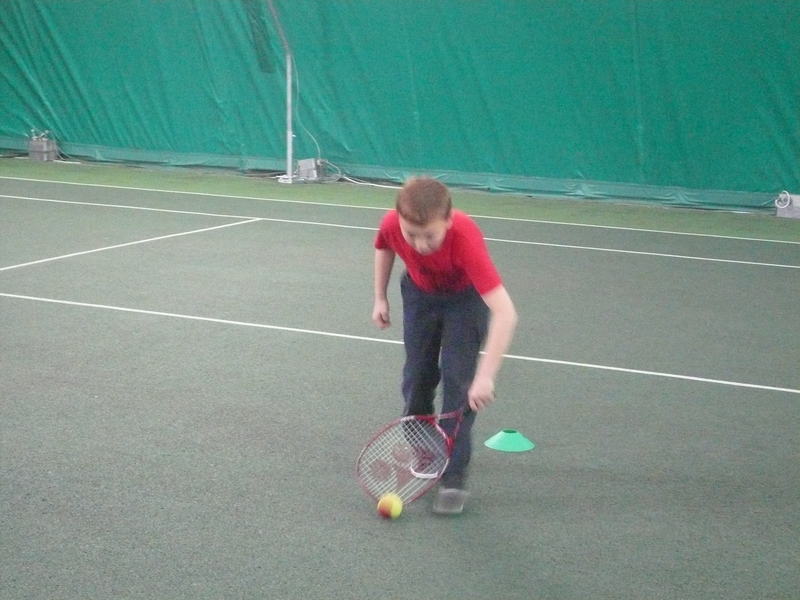 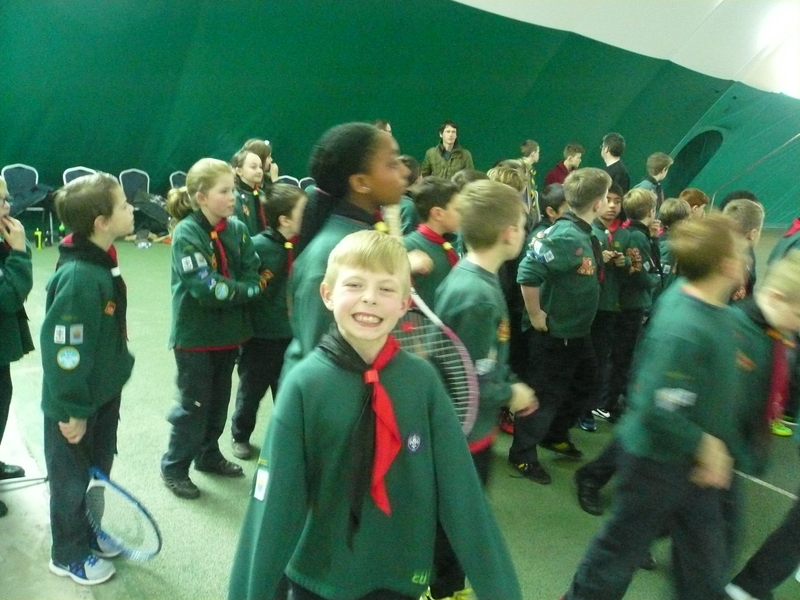 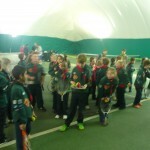 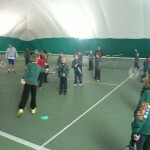 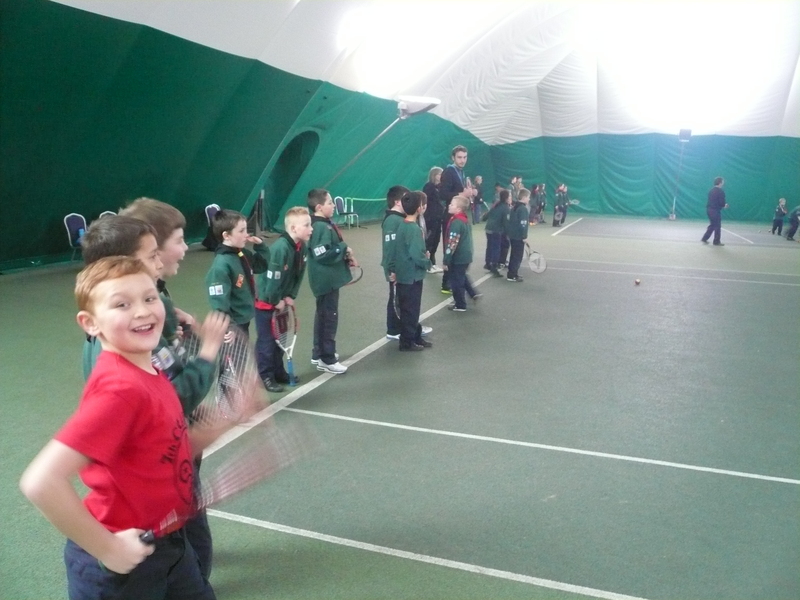 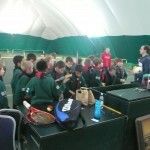 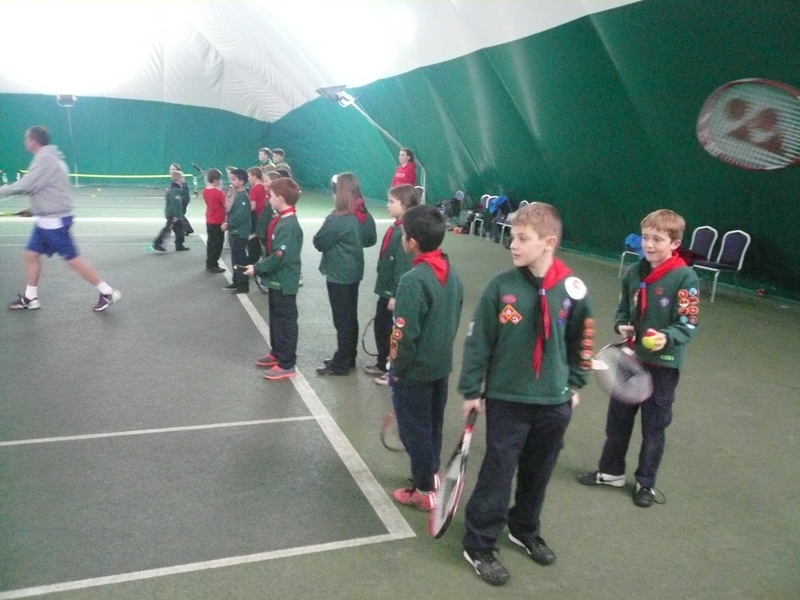 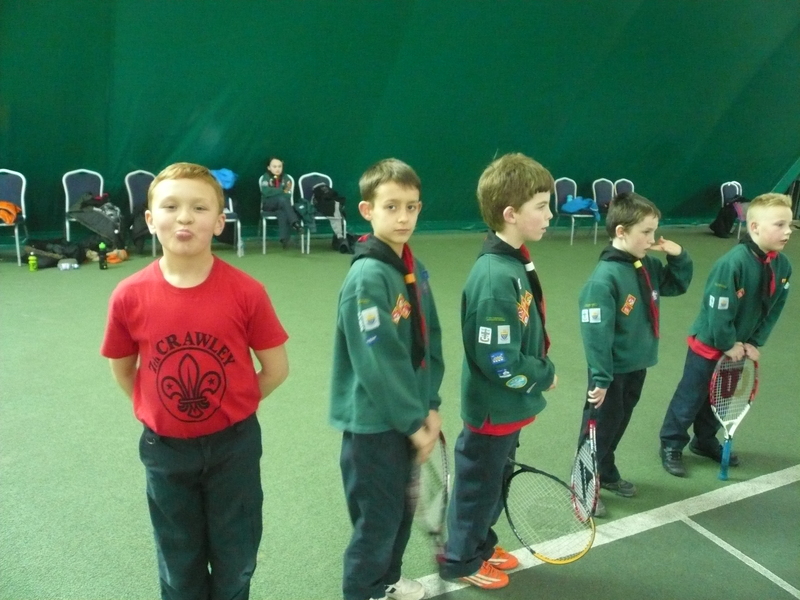 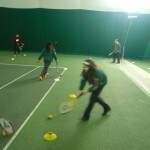 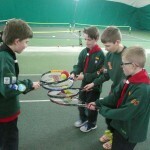 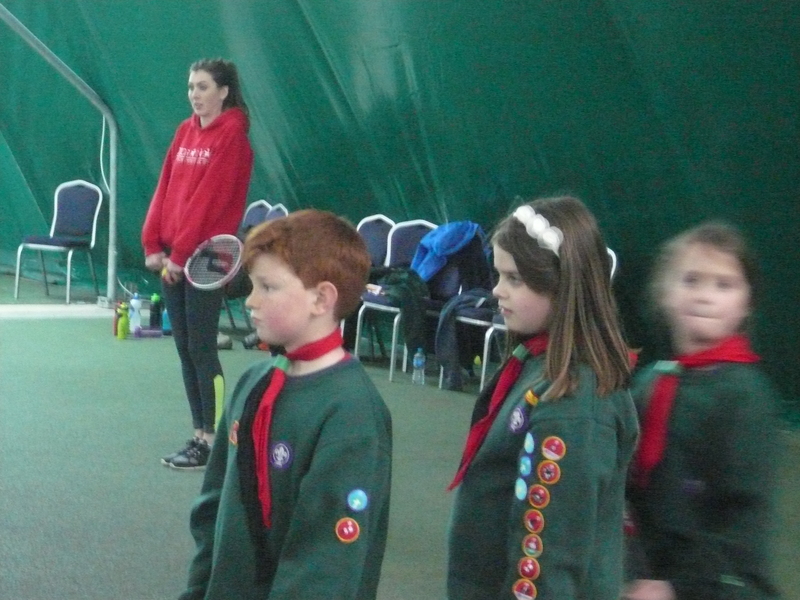 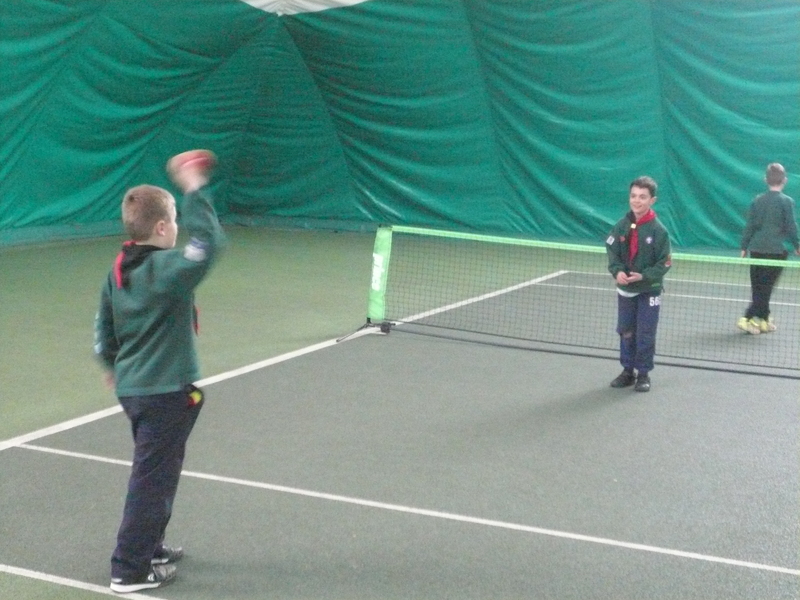 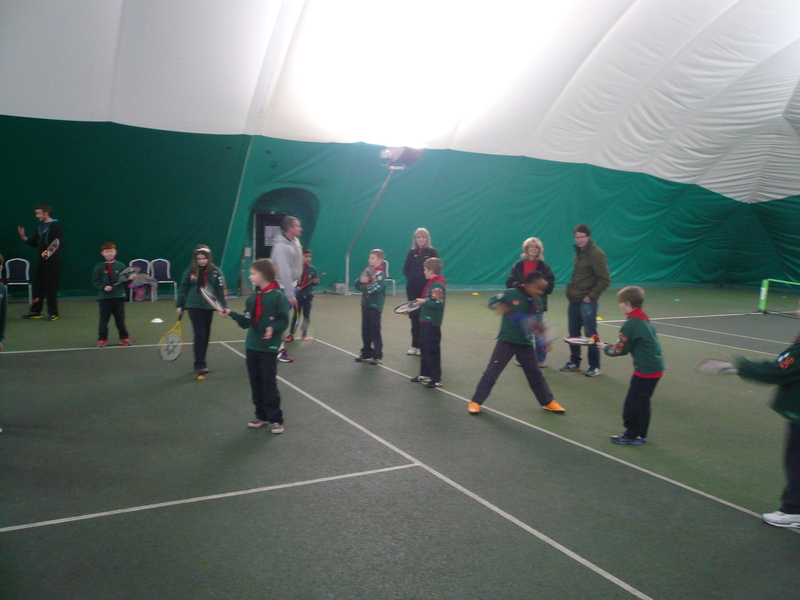 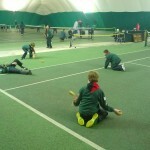 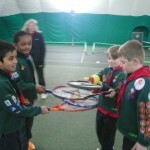 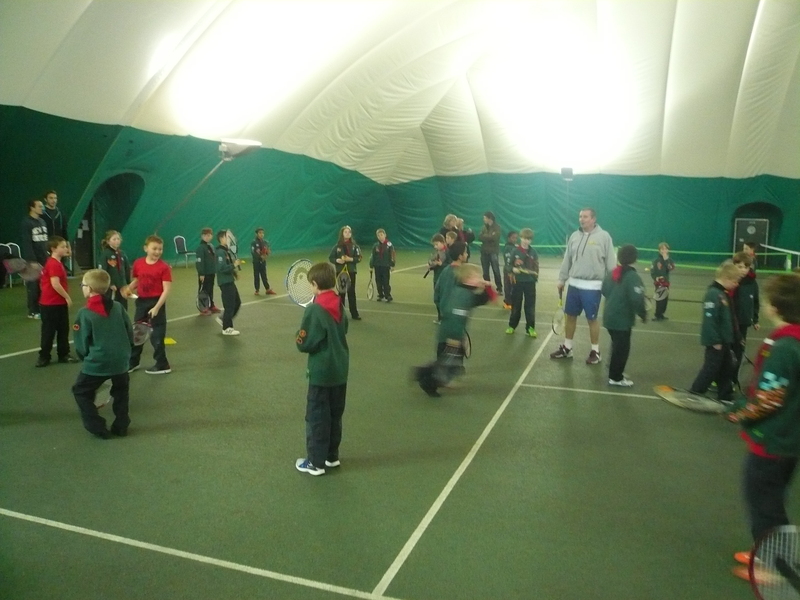 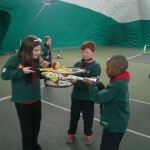 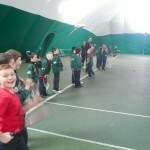 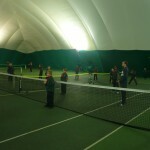 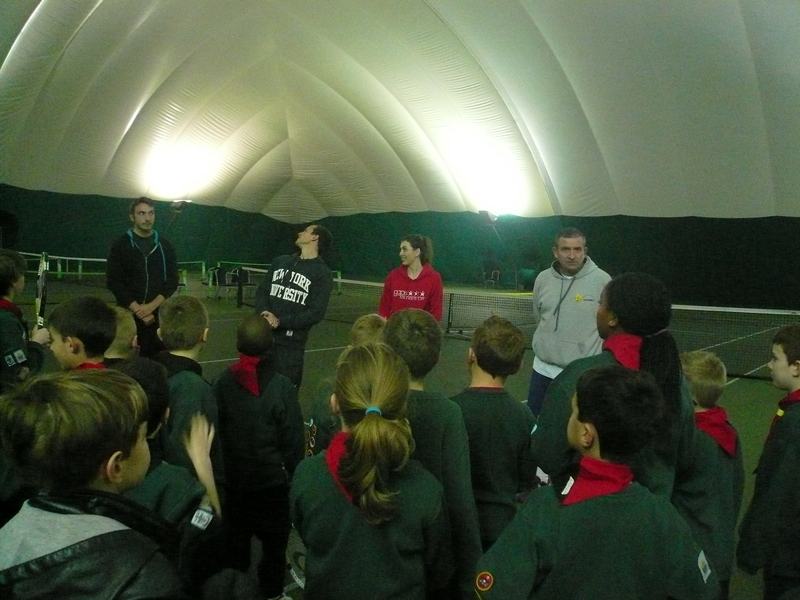 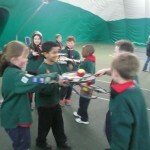 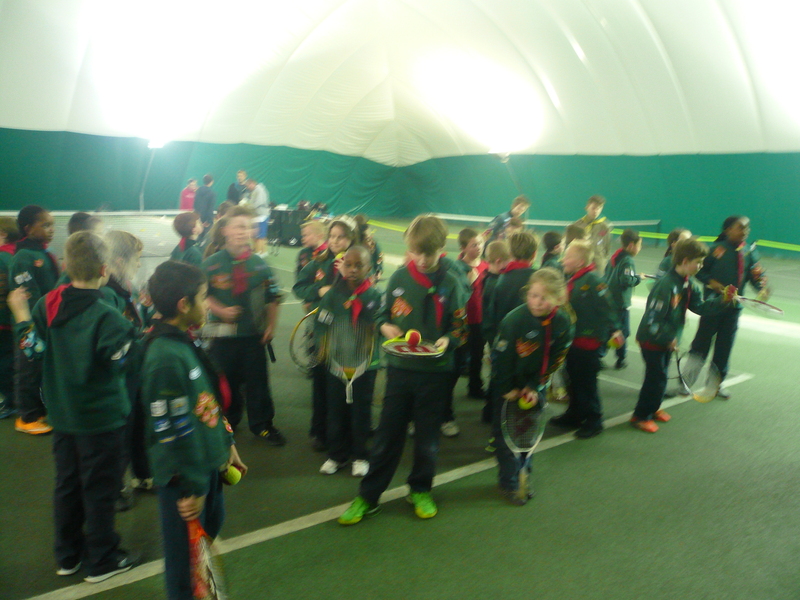 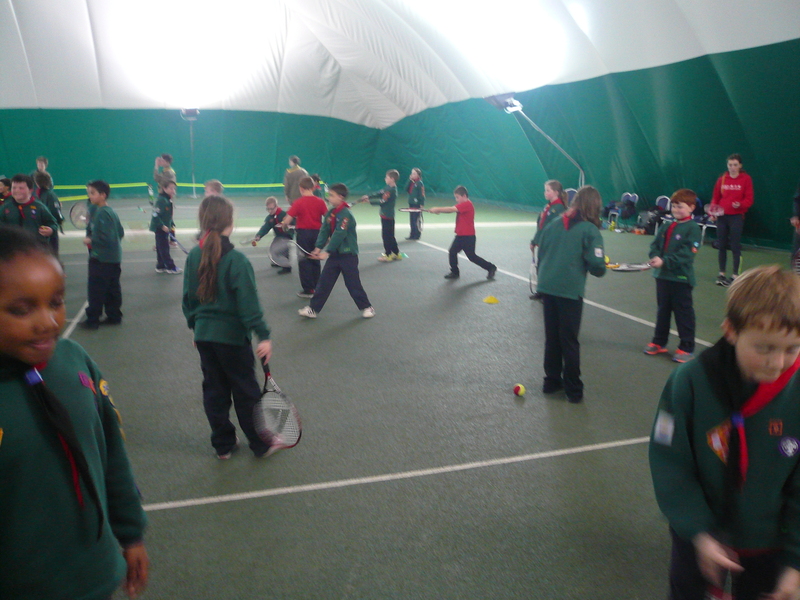 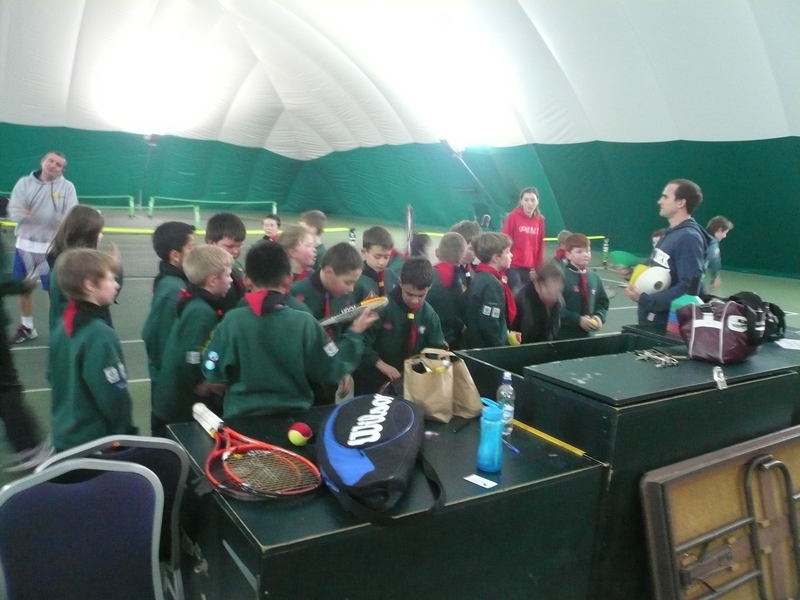 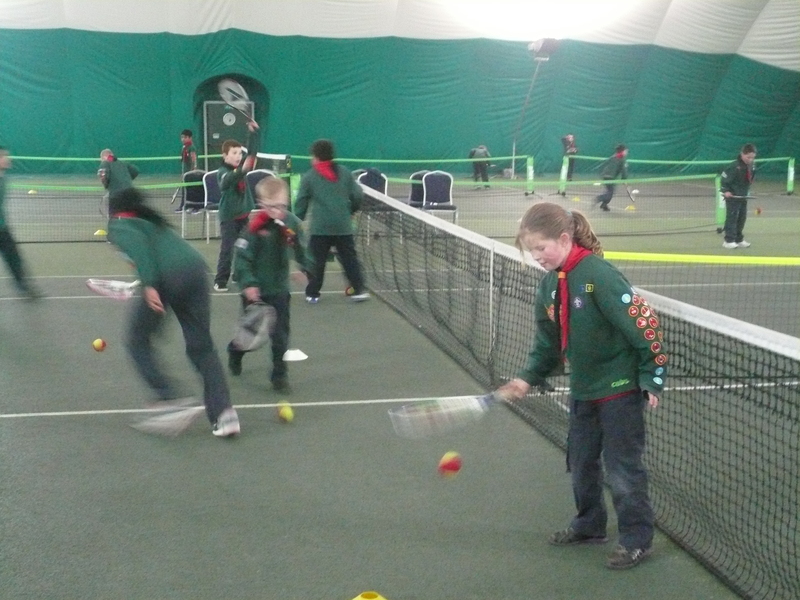 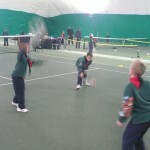 The cubs clearly had a very enjoyable time, some learning about tennis for the very first time whilst others having clearly played a little before or are continuing to participate in this great sport. 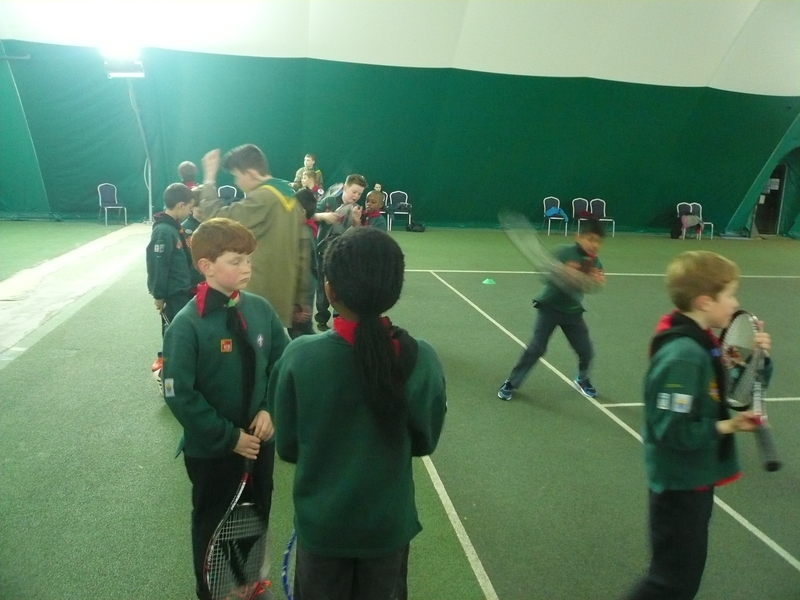 Even I was allowed loose on a racket and a ball and my sincere apologies to the Cub (who will remain nameless) who I almost scalped with a rather nice backhand smash! 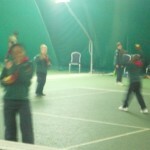 My sincere thanks to Nigel Allingham and his team for giving up their evening to let us have a taster. 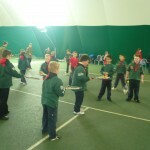 All parents of our Cubs should have be given a flier advertising another free taster session on 15th April and just in case the piece of paper is still in the pocket of the Cubs trousers I will send out copies via mail. 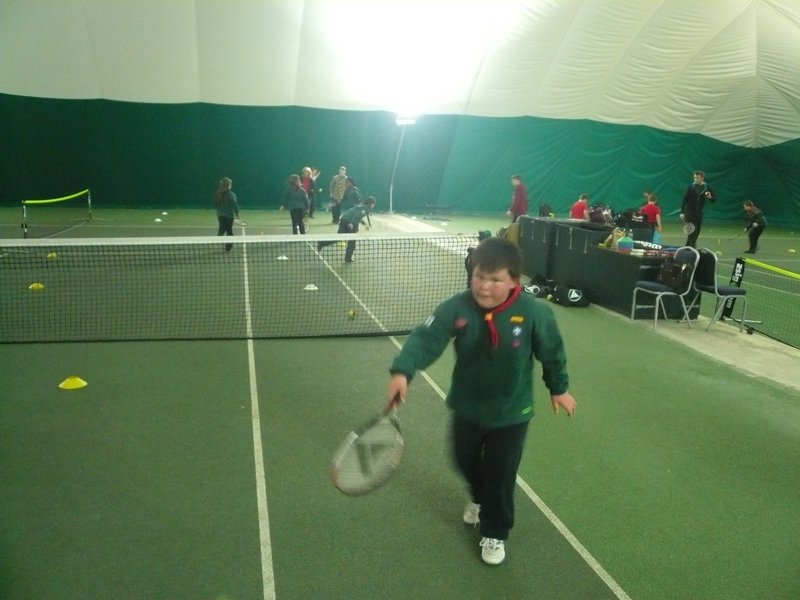 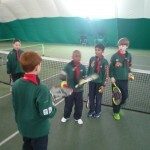 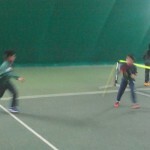 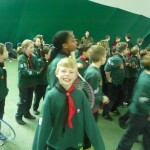 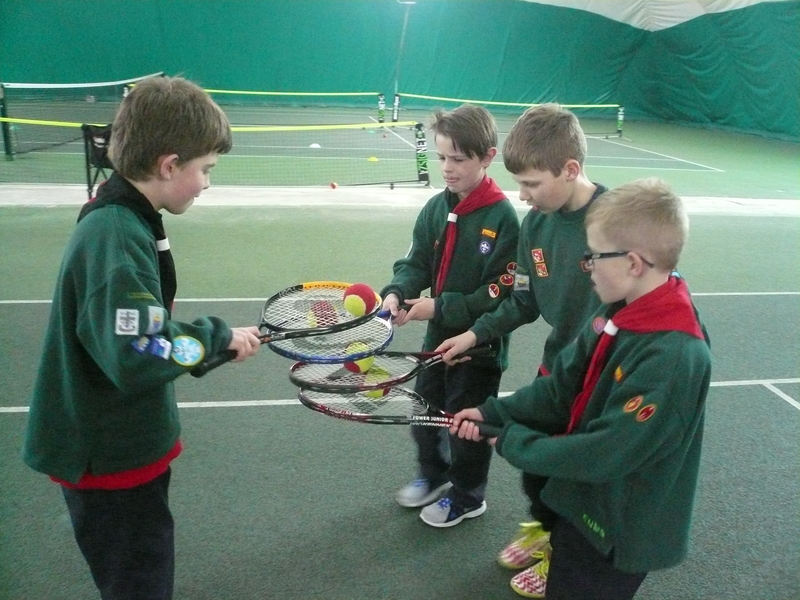 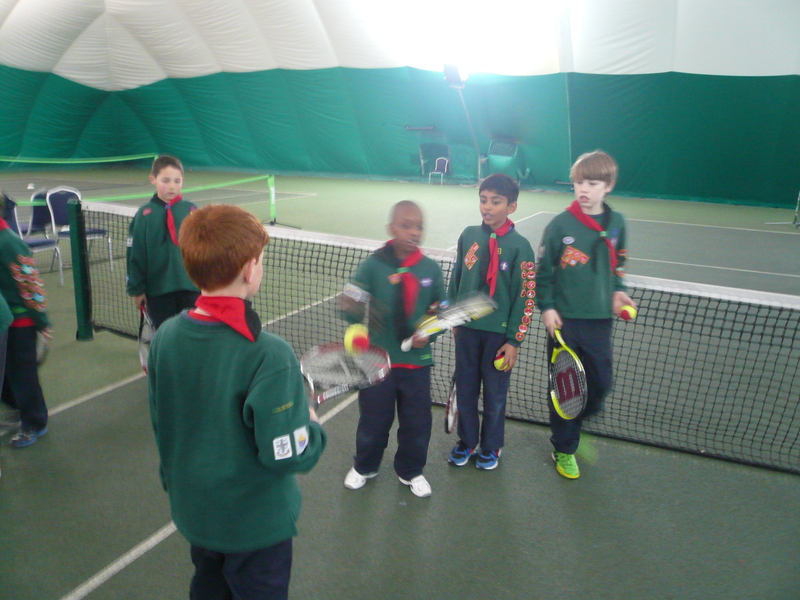 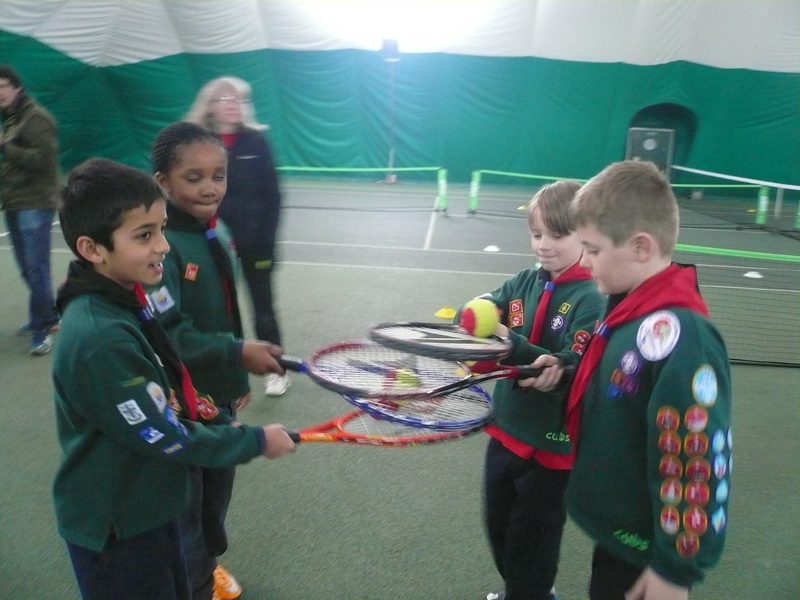 Now that we are all budding Wimbledon champions it would be great if one or two of our Cubs were able to go along, support Nigel and take the opportunity of progressing their tennis skills. 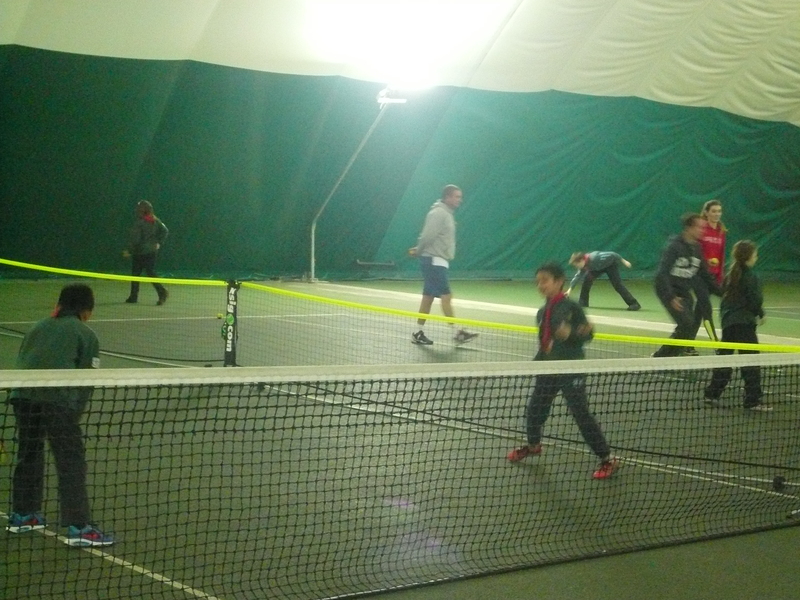 Many thanks to the parents who stayed and helped tonight. 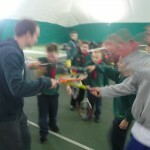 Extra pairs of hands are always very welcome and appreciated.